NY: Museum of Modern Art, 1947. Book. Illus. by Cartier-Bresson, Henri. Very Good. Wraps. 1st Edition. 4to - 10 in. tall. 56 pp. on c oated stock, 39 b&w half- and full-page plates. Two essays, one by Kierstein, the other by Newhall. Part of an initial press run of 11,700 copies. Light foxing in some margins, still mostly clean. A bit of rubbing along narrow spine. Tan stiff wrappers with light corner crease at bottom. No markings or notes..
Stamford, Connecticut: Longmeadow Press, 1993. Book. Illus. by Scott, Graham, Photog.. Fine. Cloth. 5th Printing.. Very clean pebbled white cloth, close to new, no markings. Lacks jacket. Colored endpapers. 78 glossy pages. An album of colored photos showing variousHarley Davidson motorcycle models over the years, with detailed text. Also many images of the Harley culture, including club runs, celebrity owners, and Daytona Bike Week. Index. Size: Folio -- 12.5 In Tall. Daytona Beach, Fl. : Southeast Museum of Photography, 2006. Book. Illus. by McCulloh, Douglas and Garnier, Jacques, Photographers. Fine-. Cloth. First Edition.. Unpaginated, approx. 150 pp. with 72 color plates. Nearly new, no markings, slight edge crinkling on dust jacket. Gilt titling on blue-gray cloth, plus color jacket featuring three young women in swimsuits. A catalog of beach photos exhibited at the Southeast Museum of Photography in November 2006 thropugh January 2007. Two photographers present a portfolio of random close-up color portraits they made to show beachgoers at various beaches in Southern California and Florida. Locations and subjects' names are omitted. Essay about the project by Tyler Stallings, curator of the Laguna Art Museum. A folder promoting the exhibt is laid in. Size: Folio-- 12.5 In High. Bath UK: Parragon Publishing, 2005. Book. Fine. Glossy Boards. 1st.. 384 pp. on glossy stock. Close to new, no markings, light edgewear to jacket. Textblock clean. Photos on nearly every page, many full page, about half of them in full color. The Daily Mail newspaper issues a collection of its many Princess Di photos. Most of them show her and her family and friends in happy moments. Just a few pages mentioning her divorce and death. Conspicuous by their absence are any formal or candid photos showing Diana with Queen Elizabeth, although there are many of her with younger royals. Overweight book requiring extra postage. Size: 4to -- 11 in By 9 In Wide. NY: Da Capo Press, 1995. Book. Very Good. Trade Papeback. Reprint.. 360 pp. Curled cover and thumbing, lengthy gift inscription in red ink on inside covers. No other markings. 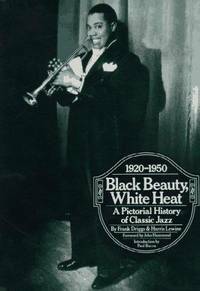 An encyclopedic collection of 1500 historical black and white photos of all the American jazz greats and hundreds of lesser known musicians through 1950. Lengthy detailed captions trace their careers and the venues where they played, with special focus on New Orleans, New York, Chicago and Kansas City. The text also shows how racism affected careers, with light-skinned black musicians in general enjoying more commercial success. Obscure record labels also are given recognition. Two indexes -- one giving musicians' names, the other for their compositions -- add to the value of this reference book. Size: 4to -- 12 in High. NY: Marvel Entertainment, 2007. Book. Illus. by Lee, Jae and Isnove, Richard. Fine. Leather. First Edition.. Nearly new, no markings. Unpaginated, approx 150 pp. of glossy color art, including rear matter giving technical details of cover art production, map of New Canaan, letter from Stephen King. 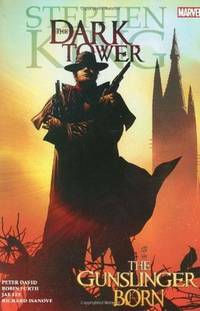 A graphic-novel anthology based on first seven books in King's Gunslinger/Dark Tower series. Size: 4to -- 10.25 in Tall. NY: Harper & Row, 1987. Book. Very Good. Faux Leatherette on Boards. Stated 1st Edtiion.. 276 pp. index, with 8 pp. color photos and numerous b&w photos. Photo spread across endpapers. Appendices with many statistics, chapter on Super Bowl XXI.No jacket. A detailed, lively photo history of the Giants football club from the 1920s through the 1987 Super Bowl. Text clean. Bright silver titling on spine. "The Giants" embossed on front cover. No markings, gift quality. Size: 4to -- 11 in Tall. Daytona Beach, Florida: Southeast Museum of Photography, 2009. Ephemera. Very Good. Leaflet. First Edition.. A tri-fold card stock annoucement of an Alex Harris exhibition of photos of Cuba. Front panel shows a Harris photo of a young Cuban girl in pink halter and jeans sitting in a table in an alley, with a tethered chicken beneath the table. The pose calls to mind a Hindu goddess. The promotional item publicized a Jan. 31, 2009 appearance by Harris to launch his "Idea of Cuba" exhiibit at the Southeast Museum of Photography. Inside panels of the folder also publicize a Jerry Burchfield exhibiit, "Understory: Lumen Prints of Florida Flora" Postal address on rear panel. Size: 8vo --8.25 in Tall. Virginia Beach, Va.: Donning Co., 2007. Book. Fine. Glossy Boards. First Edition.. 128 pp. Numerous b&w photos and a few in color. Virtually new, no markings or edge wear. A history of Daytona's public college, now known as Daytona State College. The narrative starts with the 1929 opening of The Opportunity School, providing business and vocational classes. Later, after the US Army closed a rehab center after World War 2, the government gave its property for use as a community college campus, northwest of the Daytona Beach Airport. This book primarily is a log of the college's physical expansion up through the administration of Kent Sharples (later forced to resign after an abortive effort to add dormitories.) The political infighting over the years is glossed over. Size: 4to -- 11.5 In Tall. Philadelphia: Les Krantz/Running Press Book Publishers, 2010. Book. Near Fine. Glossy Color Boards. 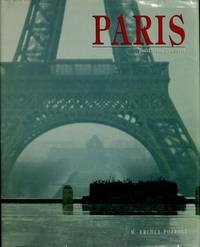 First Edition.. 288 pp. Index. Square format. Photos on front cover. Small dings on cover corners, else like new. Text clean. A photographic chronology of the Kennedy administration, focusing on Kennedy's governmental actions. Text gives highlights of each day in office, plus several pages devoted to the JFK assassination and its aftermath. Sidebar time lines list key events. Photos assembled from the Kennedy Library. Presented as objective, balanced history, not a memorial tribute book. Issued as a commemoration of the 50th anniversary of the Kennedy presidency. Rear cover blurb: ".Few supporters and critics can recount many particulars of JFK's presidency. 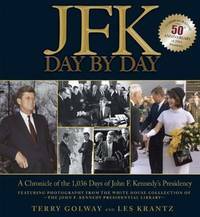 JFK Day by Day offers specifics -- in fact, a daily reocrd of the 1036 days in office.Now you can develop your own informed opinions about of of the most important leaders in American history." Size: 9.5 In Tall By 8.75 in Wide. NY: Hyperion Books, 2002. Book. Illus. by Porges, Vivette, Photog.. Fine. Hardcover. First Edition.. Anchorman Peter Jennings (now deceased) and television producer Todd Brewster illuminate contemporary American society with six stories, set in six different locations, examining central themes of American life: race, government, business, immigration, religion and culture. Each section is buttressed by thematically related sidebars and full-color illustrations. The battle in a South Carolina town to have creationism added to the public school biology curriculum is viewed in the context of the ongoing struggle between religion and science in America, and the c uses on attempts to revive the downtown of predominantly black Gary, Ind., thus highlighting the role of race in America. A look at Frito-Lay's efforts to market potato chips around the world underscores the role of business in America and its attempt to spread "the gospel of the free market" to undeveloped countries. The presentation is highly polished, and the authors report nonjudgmentally on various points of view in each controversy. But the authors do reach an optimistic conclusion that, indeed, the principles laid down by the founders 225 years ago "still form the essence of the American identity." 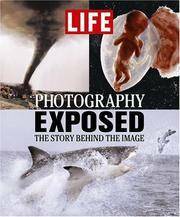 207 pp., glossy color photos on most pages, Index, reading list. Close to new, no markings, slight wear to dj. A companion to a TV series on the topic of America's founding principles and the question of whether they still govern contemporary culture. 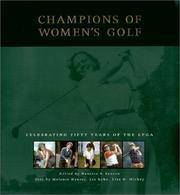 The authors do this by exploring the character of six communities in detail (Aiken, S.C., washington, D.C., Gary Ind. ; Salt Lake City; Plano, Texas; and Boulder, Colo.) Size: 4to -- 10.5 In. Tall. Carmel, California: The History Co., 2002. Book. Illus. by Hathaway, Pat, Photog.. Very Good. Trade Paperback. 128 pp. on coated stock. Light creasing along spine. No markings. Size: Folio 11. In.